Each year Capsugel produces close to 200 billion capsules for more than 4,000 customers in more than 100 countries. From the purchase of key raw materials to the manufacturing, packaging and delivering of finished products, Capsugel works to ensure the safety and quality of capsules we supply to consumer health and nutrition and pharmaceutical customers around the world. Our quality and regulatory teams have the in-house expertise and global experience to create and manufacture finished dosage forms. With extensive experience in the biopharmaceutical and consumer health and nutrition markets, our quality assurance managers, are focused on continuous improvement and regulatory performance. Many colleagues in our quality and regulatory departments are active members in global trade associations and stay abreast of evolving marketplace trends, current guidelines, and new regulatory requirements. These memberships include participation in the International Alliance of Dietary/Food Supplement Association (IADSA) and Food Supplement Europe (FSE). As one of the world’s leading purchasers of corresponding key raw materials for capsules, including gelatin and alternate polymers such as hypromellose (HPMC) and pullulan, we know that the quality of our finished dosage forms depends upon the quality of the ingredients. That’s why, Capsugel is validating the quality of all key raw materials used along the entire supply chain, under stringent sourcing and qualification processes. Capsugel has established a robust quality system for sourcing key raw materials—all aimed at safeguarding the integrity of the supply chain and assuring safe use in food supplements. We have instituted best practices to mitigate risks, ensure quality, safety and the traceability of empty capsule ingredients. Our comprehensive quality control and assurance begins when we purchase our empty capsules and food supplement product ingredients. We work to ensure that we source these products from certified vendors under quality agreements, after successfully passing our qualification program. This program includes various stages from meeting purchasing specifications, successfully passing our supplier selection and qualification procedures, over on-site auditing to ongoing performance monitoring. By following these important principles of quality control, our customers can be assured that raw materials, colorants and other ingredients used in hard empty capsules meet all standards with minimal risk of recalls or other sanctions. At Capsugel, our international operations go beyond the minimum Good Manufacturing Practices (GMP) and quality system requirements. At each of our manufacturing sites, we factor in the local regulatory or GMP requirements to ensure a standard for release and distribution at the local level. Each manufacturing site has successfully passed various inspections and adhere to all standards for safe products, including those for extended traceability—from incoming receipt to final shipment. We use hygienic equipment designed for product contact surfaces and employ food-grade and tamper-proof packaging. 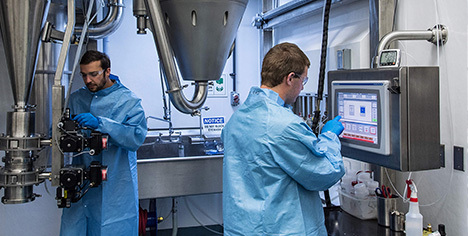 Due to our cleanliness measures and our stringent control over capsule manufacturing operations, our capsules are manufactured to maintain a high microbiological quality level without the need for preservatives or sterilization using irradiation or ethylene oxide. With an extensive compliance program focused on meeting the strictest international regulatory requirements for capsules and finished dosage forms, we work openly to maintain the trust of our customers as part of our transparent and collaborative approach. Although our empty capsules are designed to be globally acceptable, specific regulations applicable for the intended application in the anticipated target markets can be important when choosing the right capsule. Capsugel can help you in selecting the qualitative and quantitative composition in order to meet the regulatory requirements of all your target markets. Upon ingredient selection and product formulation, Capsugel carefully considers applicable labeling legislation which ensures high level of health protection for consumers and guarantees their right to information. Therefore, Capsugel composition sheets and available technical information provides the necessary information for your compliant finished product labeling. Our capsule release requirements comply with purity and microbiological specifications that apply to the capsules’ end use as food supplements and pharmaceutical excipients. Our validated test methods contribute to a comprehensive release process, allowing customers to be confident in the quality of the capsules they receive. In addition, Capsugel carefully selects and qualifies its transporters and through documented quality requirements, makes them aware of the product capsule type and required conditions. This final step is part of our commitment to conduct our business with the highest integrity and in compliance with all regulatory and legal standards. Do You Want to Learn More About Our innovative capsule products?